This one swung in from left field! 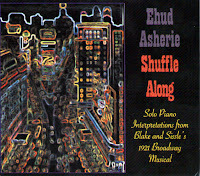 An Israeli pianist in his thirties playing, mainly, forgotten songs from the 1921 musical Shuffle Along isn't what usually lands on the semi-destroyed (by cat) doormat. Music from 95 years ago that sounds even fresher today than it may have done then! 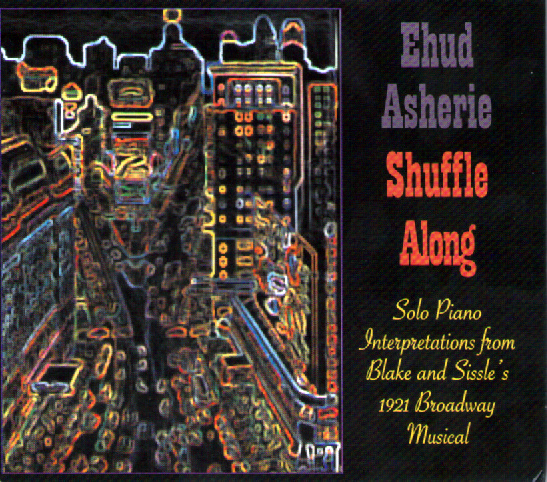 This is not to denigrate the legendary pianist Eubie Blake who wrote the score nor his co-pilot Noble Sissle who provided the lyrics for the show although this is purely an instrumental take. Asherie strides across the decades with an almost disregard for genre. Stride, swing, modern - Waller, Tatum, Evans are all part of the mix and, of course, Eubie himself. Apart from I'm Just Wild About Harry, Asherie plays it in four and then later in three, - take it from me Harry is a good waltzer! the other tunes are unfamiliar but well deserved of being Gasbooked. I'd like to hear vocal versions but, in the meantime, this has got to be one of the year's most enjoyable piano albums. Gypsy Blues; I'm Just Wild About Harry; Everything Reminds Me of you; I'm Cravin' For That Kind of Love; Bandana Days; I'm Just Wild About Harry (waltz); If You've Never Been Vamped by a Brownskin; Goodnight Angeline; Love Will Find a Way. Available April 8 on Blue Heron Records. Release concert @ Mezzrow, NYC, on April 12.